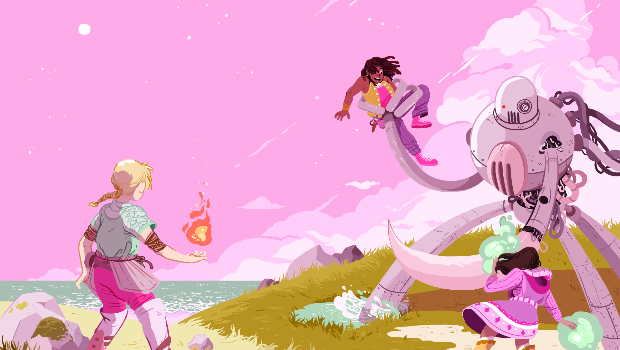 Lion Forge Comics has announced the expected release date of the latest title from their Roar Comics all-ages imprint, The Castoffs (AUG161759), featuring writers Brian Smith (The Stuff of Legend) and M. K. Reed (Americus), and artist Molly Ostertag (Strong Female Protagonist). 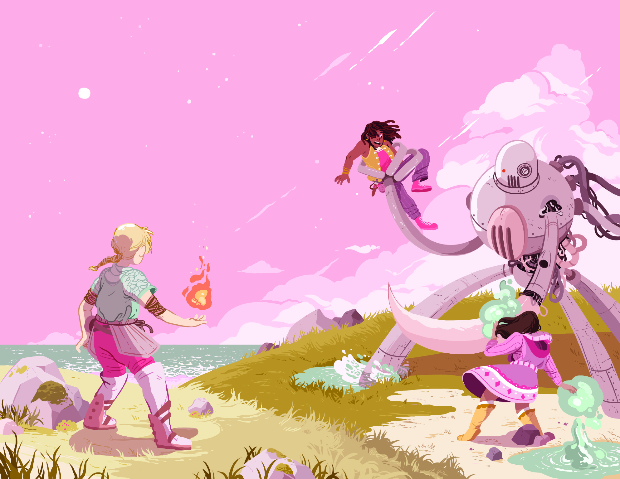 This four-issue young adult miniseries centers on three female mages who accidentally restart an age-old war with a robot army. The first two issues will have battle wraparound variants that depict an historic conflict that took place in the lore of the world of the series. Variant cover artists are Rosemary Valero-O’Connell (Lumberjanes) for issue #1 (AUG161760) and Sloane Leong (From Under Mountains) for issue #2. 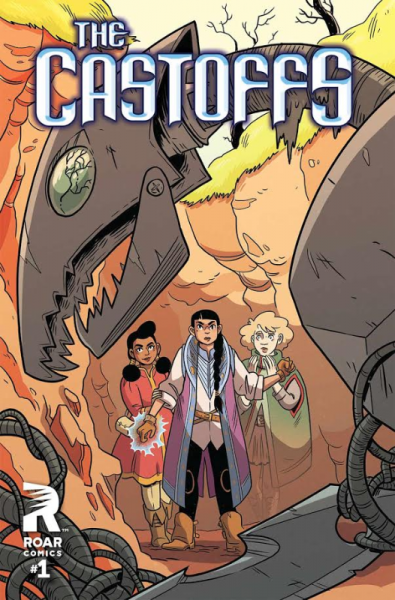 The Castoffs hits stores October 12 and will be available in print as well as digitally. It’s magic vs technology in Roar’s newest miniseries. When three apprentice mages are sent to help a neighboring guild, they reignite a decades-old war with a robot army that nearly destroyed the world. New York Times best-selling author Brian Smith, (Stuff of Legend), teams up with M.K. Reed (Americus) and artist Molly Ostertag (Strong Female Protagonist) on a thrilling new fantasy adventure! Lion Forge Comics strives to create comics that everyone, regardless of background or ethnicity, can identify with. Their title ANDRE THE GIANT: CLOSER TO HEAVEN was nominated for three Glyph Awards. From indie creators to licensed properties including Dreamworks’ VOLTRON LEGENDARY DEFENDER, NBC/Universal’s MIAMI VICE, AIRWOLF, PUNKY BREWSTER, SAVED BY THE BELL, and KNIGHT RIDER, and American Greetings’ CARE BEARS and MADBALLS, there is something for every level of comic fan. Lion Forge Comics Comics For Everyone. Visit www.lionforge.com for more information.